According to ESPN and Washington Post, the reaction from Warriors’ Kevin Durant after being bashed for joining the already dominant Warriors was planned. 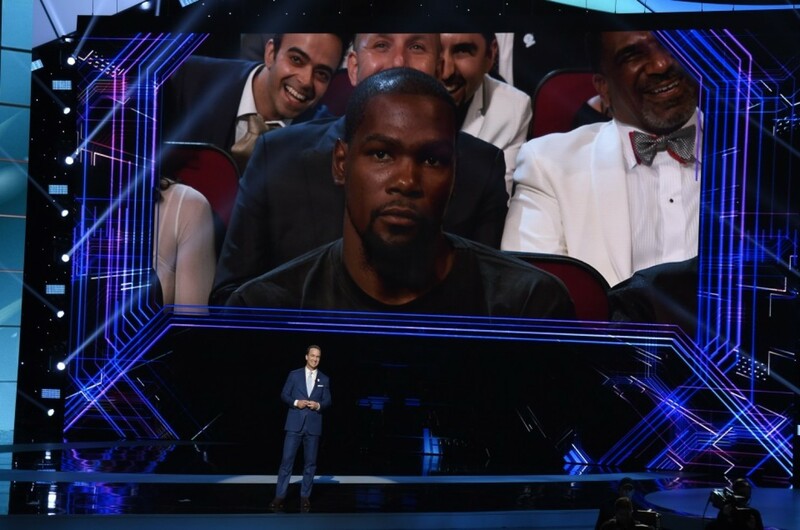 NFL legend Peyton Manning went on to make fun of Durant and asked Thunders’ Russell Westbrook for his opinion. As we all know, Durant left Westbrook and the Oklahoma City Thunder to join the Golden State Warriors. Many were shocked and disappointed in Durant as the Thunder almost beat the Warriors the year prior to get to the NBA Finals and the Warriors really didn’t need any help. Derek Fisher Debating Between Two Head Coaching Jobs?